Looking for another sign of how tough it is in the world of retail? 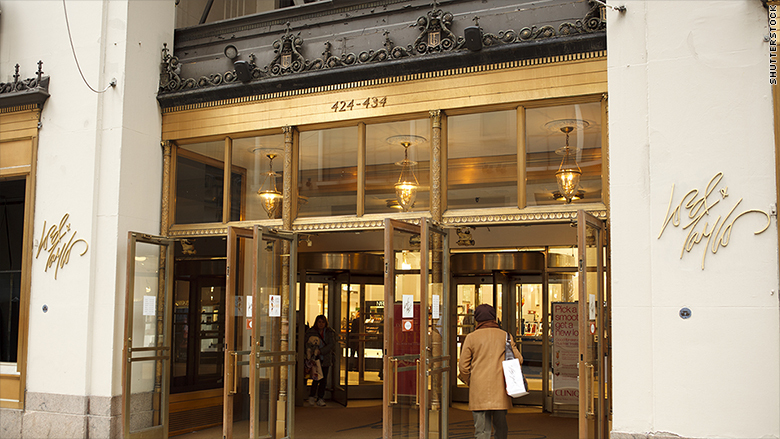 The century-old Lord & Taylor store on New York's Fifth Avenue is going to shut down next year and become a WeWork space. Hudson's Bay (HBAYF), the Canadian-based owner of Lord & Taylor and Saks Fifth Avenue, agreed last October to sell the Fifth Avenue store to WeWork for $850 million. The iconic store is located between 38th and 39th Streets and not far from Times Square. The original plan was for the store to become WeWork's New York headquarters after the 2018 holiday season. After that, approximately 150,000 square feet of the building would continue to be run as a scaled-down Lord & Taylor. But that is no longer the case. Hudson's Bay said late Monday that it "has decided not to maintain a presence at [the Fifth Avenue] location following turnover of the building to WeWork." 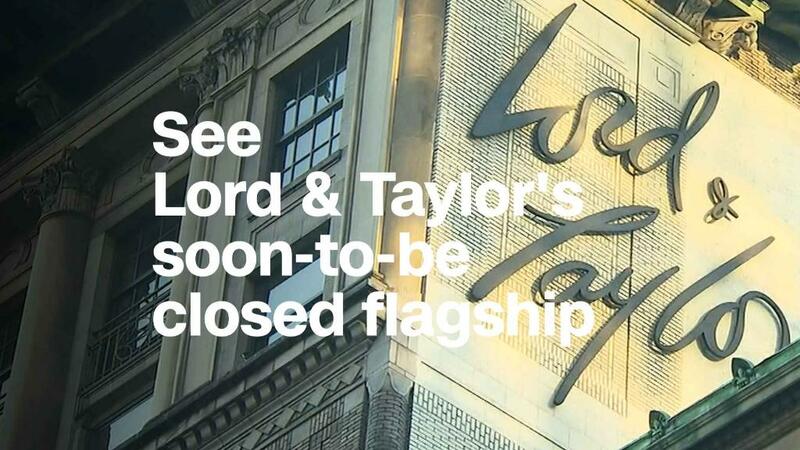 The company said that "exiting this iconic space" -- which first opened in 1914 -- is a reflection of "Lord & Taylor's increasing focus on its digital opportunity and [Hudson's Bay] commitment to improving profitability." A spokesperson for Hudson's Bay added in a statement to CNNMoney that it will be closing a total of 10 Lord & Taylor stores and reiterated that the Fifth Avenue store would not close until early 2019, once the holiday shopping season ends. WeWork is one of the biggest private companies in America. It is worth $20 billion, according to CB Insights. Hudson's Bay, like many other traditional retailers, has been hurt by the rise of Amazon (AMZN) and online commerce in general. But Hudson's Bay is turning to Amazon rival Walmart (WMT) for assistance in the digital shopping arena. Walmart announced last November that Lord & Taylor will have a flagship store on Walmart.com. The companies added last month that the online store is set to launch in the coming weeks with more than 125 brands and will feature free two-day shipping for orders over $35. New York shoppers will need to get their Lord & Taylor fix from Walmart.com after the Fifth Avenue store closes in early 2019. Lord & Taylor and Hudson's Bay may need all the help they can get from Walmart in the online world. Hudson's Bay has struggled a bit in its efforts to become a more innovative, digitally focused company. Hudson's Bay bought the once hot online shopping company Gilt Groupe in 2016 for $250 million. But Hudson's Bay was forced to take a nearly $90 million writedown last year, partly due to weakness at Gilt. And now Hudson's Bay is getting rid of Gilt entirely. The company also announced Monday it was selling Gilt Groupe to rival online commerce site Rue La La for an undisclosed price.